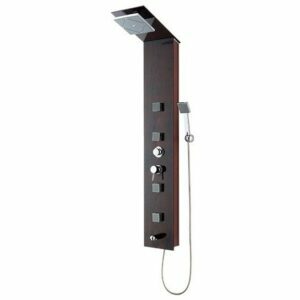 Palermo 304 Stainless Steel Shower/Massage Panel. The Apollo Shower Panels are stylish and contemporary. Monolith construction of the shower panel makes your shower room safe. Easily change temperature with the integrated pressure balance regulator. Stainless steel brushed body and chrome regulators.